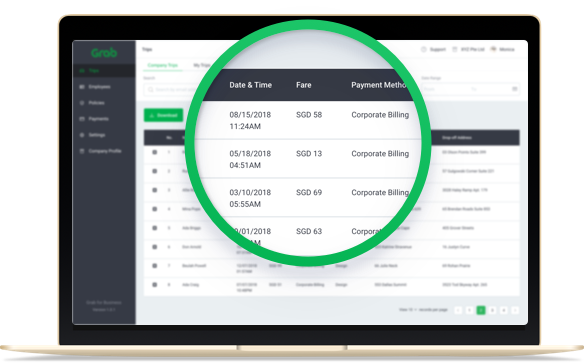 We've built a one stop platform for you manage employees, set policies digitally and gain insights on your business transport, delivery and other Grab services. Gain all-in-one view of your employee, business and client spends. Our dashboard captures information in real-time. Auto-schedule monthly trip statements to your inbox. 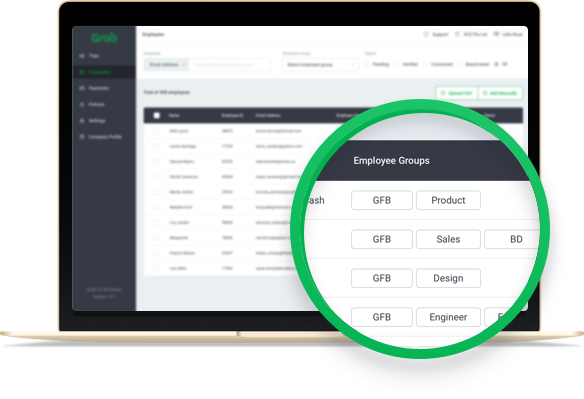 Link your employees to a company account in a few simple steps, and organise your employees by cost centers or project codes using our easy-to-use employee management features. Our platform enables you to control the way your employees travel. Set policies by day, time, location, service type, and per trip permissions to fulfil your business needs. 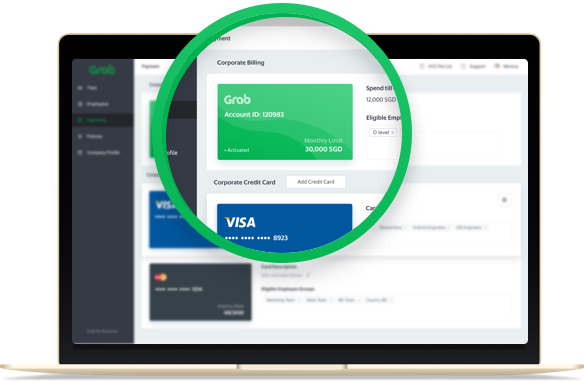 Let's figure out what plan suits your business - our build covers corporate billing, credit card, ease of reimbursement including integrations with Concur.